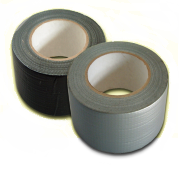 Specially formulated high performance silicone rubber tape with insulating properties useful for sealing exposed wiring connections and can also be used for emergency low pressure hose repairs. Application: Double sided adhesive tapes can be used for attaching trims, mouldings and lightweight components. Application : Use both male and female velcro tapes to stick or sew on . Application: A double sided sticky pad used for attaching car interior mirrors to windscreens.